Have you ever been with a large group of people who want to take a picture together, but needed someone to sacrifice themselves to take the photo? Well, some games can require a similar sacrifice. Playing Bingo, for example, just isn’t the same if you’re stuck calling out all of the numbers. Another reason you might use a virtual assistant is for their excellent memory. You won’t have to write anything down with Alexa at the helm. In fact, with Alexa you won’t even need cards to play a card game. 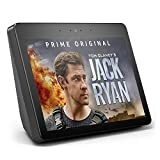 So what are some of the best games for Alexa? If you’ve ever wished you had a person to call out bingo numbers for you then amazon echo will make your dreams come true. Alexa will call out the numbers for you, but you will also be able to view the numbers that were called out from the echo app. You can download echo bingo cards online or make your own using the standard bingo system. 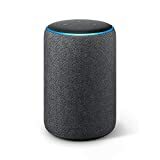 Once someone gets a bingo simply say, “Bingo!” and Alexa will end the game. Earplay is a suspenseful “choose your own adventure” story game that will have you sitting on the edge of your seat not wanting to miss a single word. There are a bunch of stories to choose from in the style of old school radio dramas and each one is packed with detail and creativity. Genera’s include fantasy, comedy, mystery, and more. In World Detective you’re a detective chasing down villains to bring them to justice for their crimes. The cool part is that you will use your knowledge of culture and geography as clues to track them down. If you’re looking to push your special memory to its absolute limit then Hunt the Yeti is perfect for you. In this game you are basically lost in a cave and have to use your spacial memory to navigate through obstacles and throw spears in the right direction. If your character senses the yeti nearby you’ll have to use clues to figure out which direction he is and to throw the spear toward him. True or False is another game that quizzes you on culture and geography, but in this game you can play with up to 20 people. The questions vary in difficulty and can be a lot of fun with a group of friends. On top of this you will learn a lot about the world while you play! Song Quiz is all about guessing the title and artists of songs. This game includes thousands of songs over the last 60 years and new music is added often. So if you like music and want to stretch your music wisdom and impress your friends then you must give this Alexa skill a try! Have you ever played the game Blind Man’s Bluff where you put a card on your forehead and try and guess what your card is? Well Akinator is similar, except Alexa is the one trying to guess what character you’re thinking of. 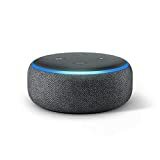 Alexa try’s to read your mind and guess the real or fictional character your thinking of within 20 questions. You would be surprised how fast it can guess with so little information. Memory Match is a card game where you try and match pairs of cards with a few turns as possible. The hard part is that you can’t see the cards, so you have to rely purely on memory. You could cheat and write the cards down on a piece of paper if you wanted, but the point is to improve your visual memory and listening skills. Each game has 12 cards face down with 4 rows and 3 columns. So when you turn a card you will say something like “row 2, column 1” and Alexa will tell you what is on the card. Then you will choose another card. If the second card matches the card you flipped prior two it then a match is made. Once you figure out all 6 pairs you win the game. Did you know that you can use your Amazon Alexa to control your home security? With Protect America you will have complete control of your security system, locks, lights, thermostats and other connected devices anywhere in the world. Get a free quote today!